As a Droid user, I was exposed to Foursquare before I was exposed to Gowalla , I imagine for many of you on i-Phones, it might be the opposite. I added Gowalla 2 weeks ago and have been holding out on this article wanting to truly play with both side by side. Round 1 appearance on device, at first Gowalla looked prettier just on appearance, but in their last update the guys a Foursquare added a much nicer look. I like both and if it was just on looks would use either one. Round 2 appearance online both appear easy on the eyes and there is no significant difference. 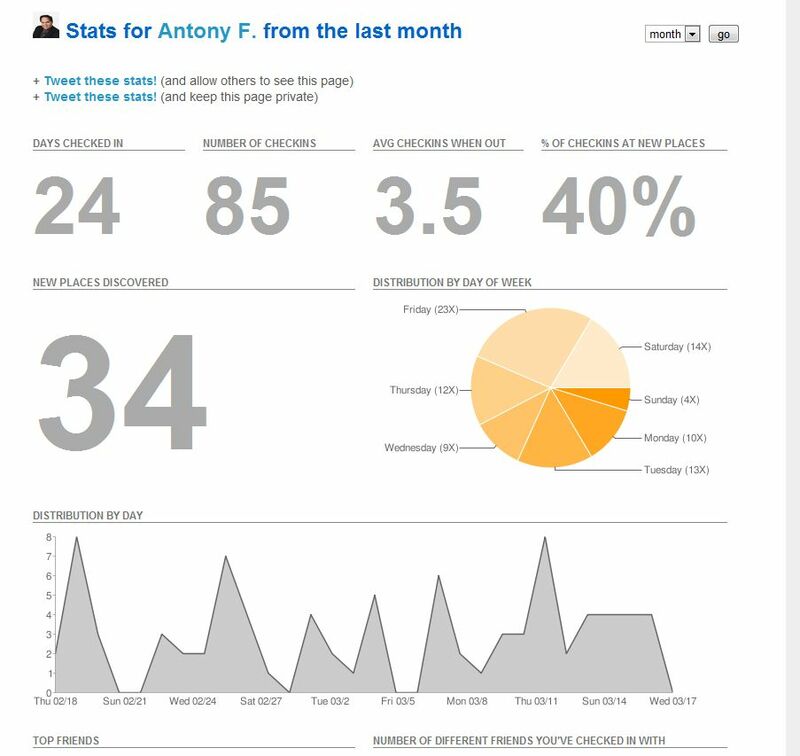 Round 3 Online UI (User Interface) I favored Foursquare for finding locations and adding new locations, Gowalla made me work harder to find what should be easy steps. On the other hand Gowalla made it easy to see what my friends are up to from the desk top, where Foursquare made this impossible from what I saw. I like the stats on Foursquare better as they are true stats where Gowalla just shows your recent stops. This is a toss up for me, but I value what Foursquare gives me more. 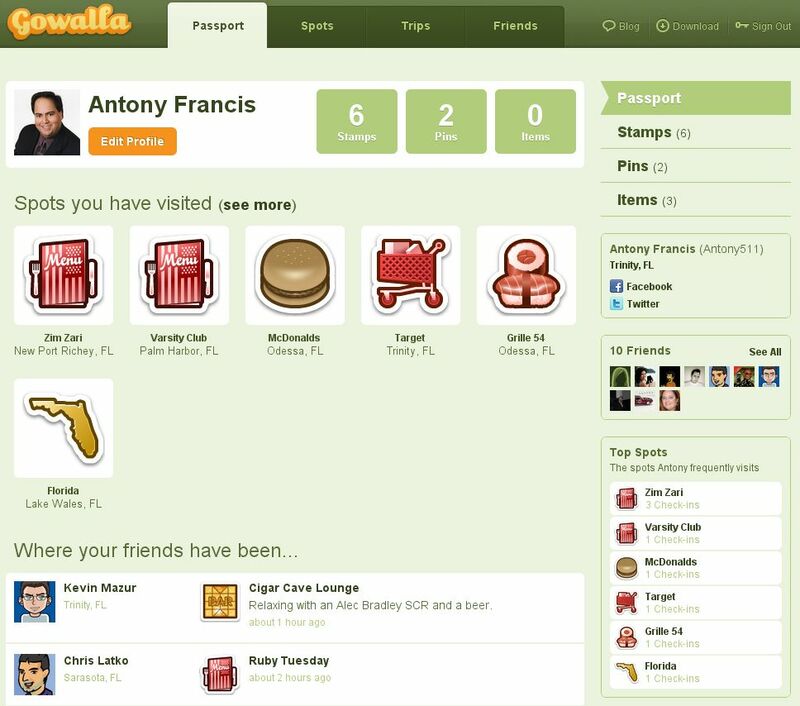 Both make it easy to see your friends, but Gowalla shows their last updates where Foursquare forgot this good tool for the desktop. Round 4 Device interface (using my Droid) Both look pretty, but the Gowalla interface pulls up a big list of everything in the area, up to 9.5 Kilometers away from my current location, where Foursquare is only showing locations inside of 1200 meters from my current location. Foursquare let’s you enter a location on the spot if it is not in the database where Gowalla did not, this one element drove me nuts. This round goes to Foursquare, and for me this was the knock out. ultimately both platforms could be fun, depending on where the majority of your friends are, but if you have input as to where your friends choose to go, I recommend Foursquare. Google is also entering this arena with their Google Latitude, which while not as pretty as the other two, easily shows on a map where you and your friends are. Currently this seems behind the other two programs, but with Google developing it, I imagine it has to potential to really take off. The innovation of new GPS based social media can be expected to continue even though I expect some major challenges that they will need to overcome in public opinion for security and safety of those using them. See What’s the risk.